The classic coral-like monster is common though region-exclusive, and we know just where to look. Many Pokemon Go players keen on filling out their Pokedex have expressed interest in Corsola, the pink and coral-like Pokemon that was introduced with the Gen 2 update to the game. 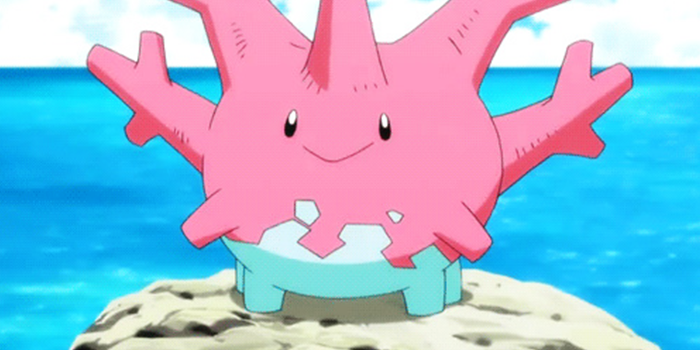 Like several others, Corsola (whose name often seems to be jumbled into words like Corosola or Coralsa or Corona) is a region-exclusive Pokemon that largely appears in what's described as warm equatorial areas. That's perfect for players in Mexico or Africa, but for North American and European players, Corsola can be tough to track down. So just where can Pokemon Go players find Corsola? Read on to find out. Players looking to find Corsola in Pokemon Go will want to explore regions below what users of The Silph Road refer to as the Tauros line. 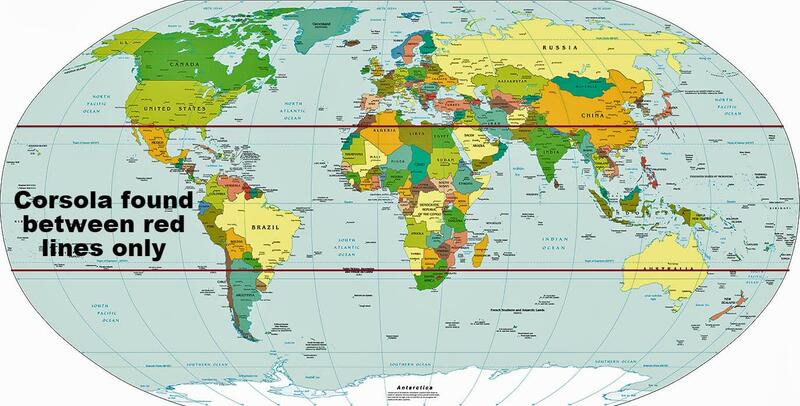 It's an imaginary line that runs somewhere along 30 degrees north of the equator. All areas below this line are where Heracross, another region-exclusive Pokemon, is known to spawn; however, Corsola only seems to appear between the Tauros line and another line just 30 degrees south of the equator. Referencing the above map, it's easy to see that Corsola is very likely to spawn in places like Brazil, India, Africa, and Mexico. However, the lines leave players in Europe, Canada, and southern Australia fairly out luck. Fortunately, US players in particular are able to find Corsola, though only at some of the most southerly points of the nation. The Tauros line seems to run through the northern parts of Florida as well as the southern bits of Texas, which seems to exclude most other Gulf coastal regions; however, reports indicate players finding Corsola in points as far north as Baton Rouge, Louisiana, meaning players from the Alabama and Mississippi Gulf Coast regions shouldn't have trouble finding the elusive Pokemon. Oddly, some players have reported finding Corsola in locations like Maryland, which is well above the reported Tauros line. Though not confirmed, these reports seem to indicate that Corsola (and potentially other region-exclusive Pokemon) may follow seasonal behavior. The idea is that Corsola may prefer warm areas and simply migrate south for winter. Since the United States are smack in the middle of summer, it'd be hard to confirm this theory, but seeing as how it's currently warm here now -- and knowing that Corsola should spawn withinin the given latitudes -- southern US players should have no trouble finding the creature. Keen on finding even more Pokemon? Check out our list of the rarest Legendary Pokemon in Pokemon Go, and be sure to read up on the special Adventure Week event set to kick off later this week.